Do you have jewelry scheduled on your homeowner policy? While it doesn’t necessarily make sense to specifically insure every piece of jewelry you own, it’s certainly wise if you have expensive pieces…especially if you wear them frequently. When you “schedule” a special piece of jewelry on your home, condo or renter policy, it provides additional coverage outside the regular policy limits. It also covers situations such as losing a piece of jewelry that isn’t covered under a regular policy. Agents use the term ‘all risk’ coverage to scheduled jewelry items as when you schedule the item you are getting coverage in the event the piece is lost, stone chips, goes down the drain, etc. To schedule an item, you usually need to have an appraisal that provides a detailed description and the value. But, something that we sometimes forget is that the value of a piece of jewelry isn’t fixed. With the skyrocketing price of gold and other precious metals over the last few years, you might be surprised that the value of your jewelry has substantially increased. If you currently have scheduled jewelry, you may find that the insured amount is no longer enough and in the event of a loss you are not property protected. 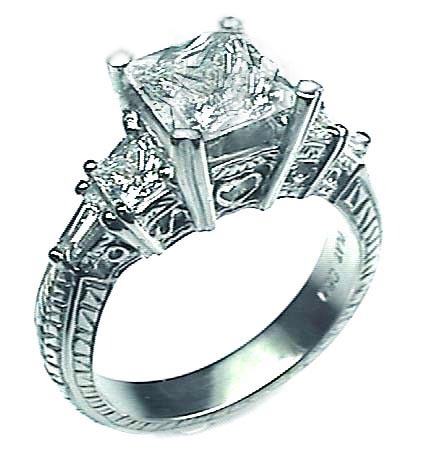 It’s generally recommended to re-appraise jewelry every four to five years. However, when you see a big increase or decrease in commodity prices, you may need to update appraisals sooner to ensure that your coverage is sufficient. Unless, you’ve done so in the last few years, now is a good time to re-appraise your jewelry. Once you re-appraise your jewelry items make sure you get the updated jewelry appraisels to our office so that we can update your home, renters or condo policy. This entry was posted on Friday, February 24th, 2012 at 7:07 pm and is filed under General. You can follow any responses to this entry through the RSS 2.0 feed. You can skip to the end and leave a response. Pinging is currently not allowed.